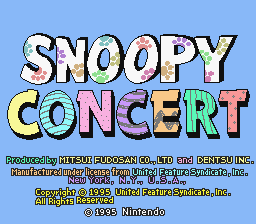 Snoopy Concert is an action game for the Super Nintendo. The game is a less of a self-contained game and more a collection of four smaller ones; including a point-and-click segment featuring Schroeder. 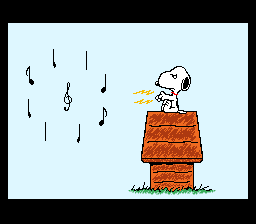 The player controls Woodstock and direct Snoopy as he performs all sorts of errands for different Peanuts characters. The player does a separate game for each character; some of them require him to do a little detective work, or to direct Snoopy to win a race, or to get a character to some place. The ultimate goal in the game is to get everyone in shape for Snoopy’s concert. Games can either be played using stereo or monaural sound. The music was composed by Hirokazu Tanaka and Minako Hamano, in addition to arrangements of the familiar works of Vince Guaraldi. Snoopy Concert is less a game and more a collection of four smaller ones. Snoopy (of Peanuts fame, yes that Snoopy) is preparing to give a concert to the Peanuts gang, but so far, Marcie and Patty are the only ones who’ve shown up. 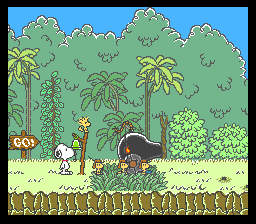 Snoopy (and occasionally Woodstock) must then help solve the gang’s various problems - with each character having a distinctly different minigame to play. 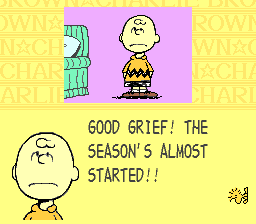 Rerun’s segment is a stroller chase, Schroeder’s is a standard point-and-click style abstract adventure game, Linus’s is a bit of a reflex test and Charlie Brown’s is a trading game. This is not the best game ever, but it is clever, cute, and a fun diversion while it lasts. 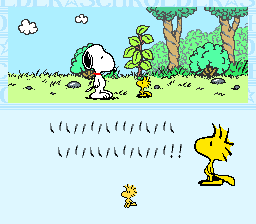 Personally, I liked Schroeder’s game the best.